Karolina was born and raised in Poland where she also obtained a degree in law before settling in the UK. Her commitment to human rights and social justice led her to the European Court of Human Rights where she spent four years working as a case lawyer in the Polish division, processing cases which concerned a wide range of human rights issues including prohibition of torture and inhuman or degrading treatment, the right to a fair trial and the right to liberty and security. During her time at the Court, Karolina graduated from University of Strasbourg with a master’s degree in Human Rights and Humanitarian Law, focusing her research on the law of armed conflict and the work of the International Criminal Court. Following her return to the UK in 2014, Karolina commenced a Graduate Diploma in Law course at BPP Law School. Her dissertation research concentrated on hate speech under Article 10 of the European Convention on Human Rights. Karolina also volunteered during her studies, as a research assistant at Bail for Immigration Detainees and as a student volunteer for a housing clinic at North Kensington Law Centre. 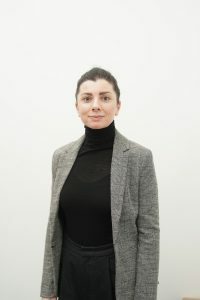 Having completed her GDL course, Karolina moved onto Irwin Mitchell LLP where she worked as a paralegal in a public law and human rights department, assisting on cases relating to community care, disability rights, mental capacity and mental health, civil claims against the police and some inquest work. She completed a Legal Practice Course at the University of Law whilst working at Irwin Mitchell. Karolina joined Just for Kids Law as a Trainee Solicitor and Legal Education Foundation Fellow in January 2018. She is currently developing ideas for her projects which will focus on the youth justice system. Karolina is hoping to develop a range of client-led activities and resources which will help young people in understanding the complexities of the youth justice system and support them in accessing the information and services of organisations such as Just for Kids Law. Building upon the conclusions of the recent reports of the Law Commission, David Lammy MP and Charlie Taylor, Karolina also hopes to develop a social media campaign to bring about a change in the way the youth justice system is perceived by the public.